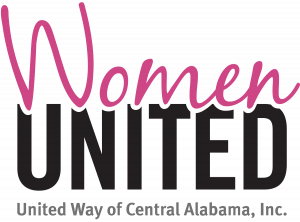 Volunteer Opportunities – United Way of Central Alabama, Inc.
United Way’s mission is to improve lives and strengthen our community. Across the United States, 2.9 million United Way volunteers are giving their time and talents to create lasting solutions that improve life for everyone through serving others. Volunteer opportunities through United Way are numerous. You can read to children, deliver a hot meal to a homebound senior, share your knowledge about taxes and more! Do what you can, when you can and you’ll help create the kind of community we all want to live in. Click here to view all volunteer opportunities. Hands On Birmingham connects people with organized and meaningful volunteer opportunities to improve their community. All it takes is ONE hour, ONE day, ONE month to make a lasting difference in the lives of others. They also can help businesses align their philanthropic goals with strategic volunteerism. Visiting Allocation Team ( VAT) members help make decisions about what community programs will be a good investment of United Way dollars. VATs increase program accountability to donors of United Way by requiring agencies to define how donor funds will be spent. Between early September and early November, teams of 20-25 volunteers convene to discuss agency allocation requests and determine whether funds requested will be a good investment of United Way dollars. Consider becoming a VAT member. 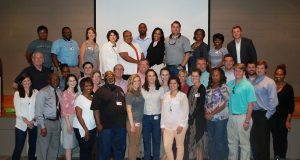 Each year, United Way of Central Alabama asks local organizations to select one or more of their valued employees to participate in the Loaned Executive Program for a 13-week session. Participants develop and implement company campaigns by working with top management and employee campaign coordinators. They come from all areas of the work force, including middle management, professional, clerical and organized labor. Many employers utilize the Loaned Executive program to strengthen and improve employee skills. Meals On Wheels’ success depends on a network of faithful volunteers who help coordinate and deliver hundreds of meals each weekday to homebound seniors in Jefferson county. We need your help. Meal Delivery – Volunteers are needed to deliver hot noontime meals to homebound seniors in various areas of Jefferson County between 11 a.m. and 1 p.m., Monday through Friday. Administrative Help – Volunteers are periodically needed to assist with general office duties. For more information on these volunteer opportunities, please email volunteer@mowjeffco.org. Or call 1-800-AGE-LINE or 205.592.0413. 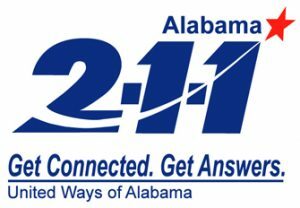 2-1-1 is looking for volunteers to provide information to callers on resources such as food pantries, homeless shelters, support groups, summer education programs for children and more. After a brief orientation, volunteers have the opportunity to learn about hundreds of social service agencies in the area as well as help families in need. Shifts are available days and evenings, weekdays and weekends. Every year, we need volunteers for United Way Free Tax Preparation. Whether you’d like to help by greeting clients, gathering information and checking their documents, or by actually preparing their tax returns, we need you and will provide all the necessary training for you to become IRS-certified. We also offer student internship opportunities for class credit. Volunteer participation is key to making this program successful, and it’s a great way to serve our community.